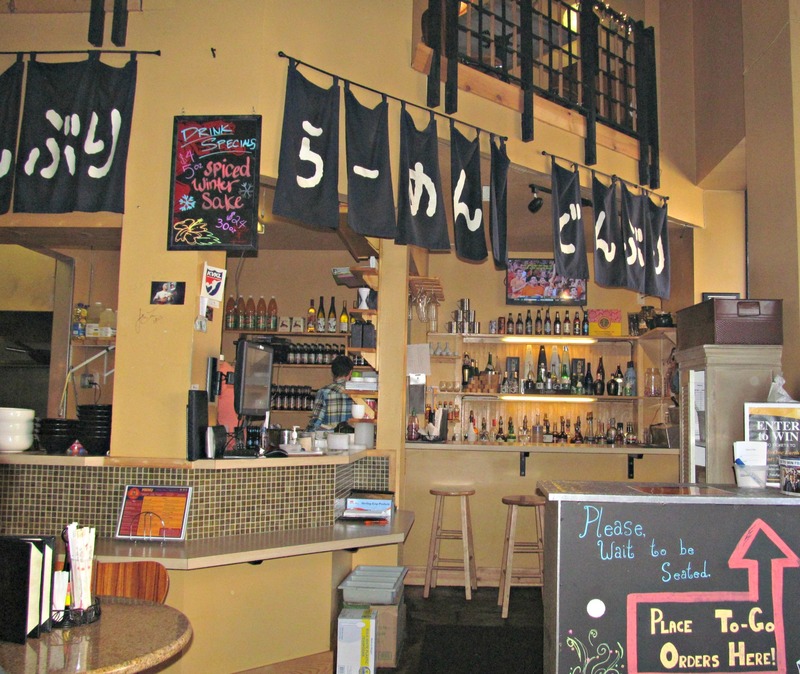 Ramen Bowls, located on a downtown Lawrence side street at 125 E. 10th, was recommended by my friend Bekka as a place to find good pork in Jayhawk country. 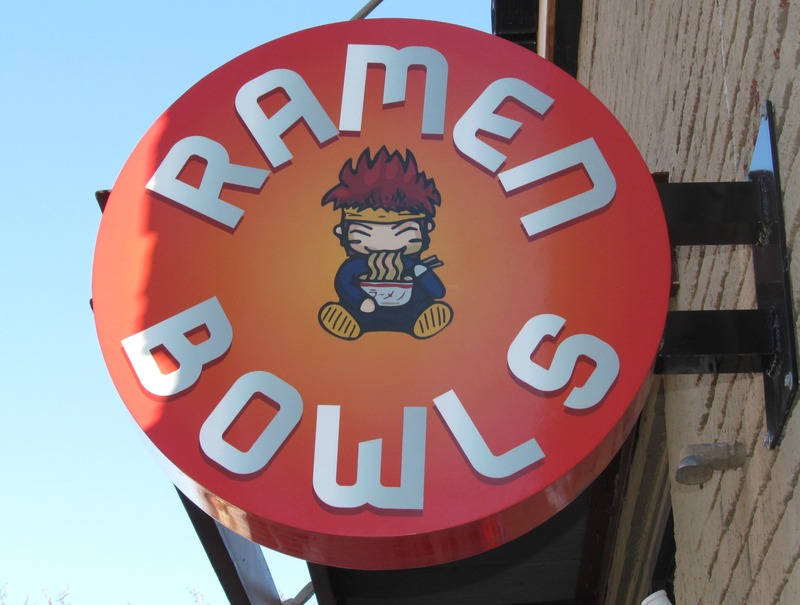 As the name suggests, Ramen Bowls features bowls of ramen noodles. However, these are not the starving college student cheapo pack varieties you are probably familiar with. These are humongous steaming bowls of oriental noodles that come in many varieties and flavors not found in bulk at the big box store. One of the possible additions to your noodles includes pork. 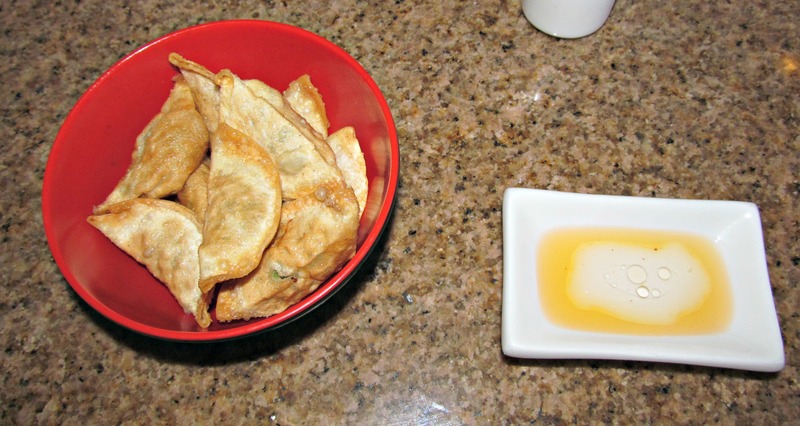 Ramen Bowls also has free pork wontons during happy hour (beginning at 2:00 p.m) and pork tacos. I’m not that brave, so I ordered pork belly tacos instead. 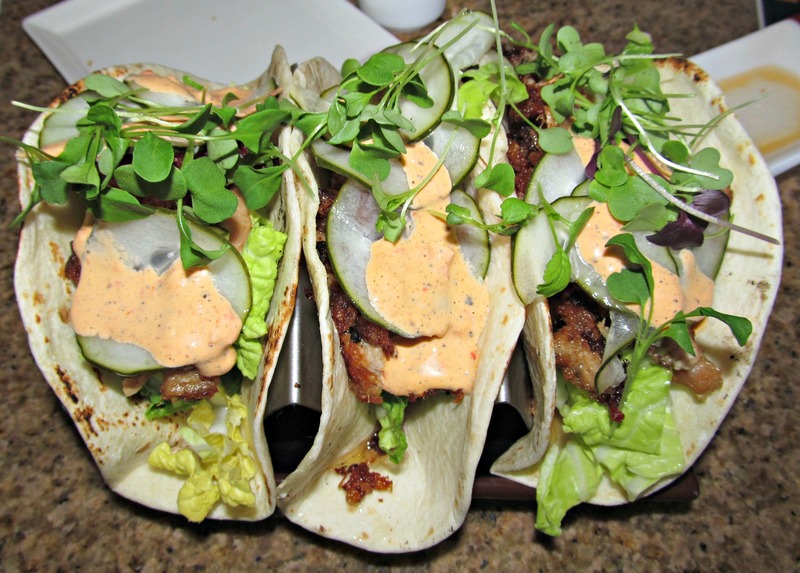 The three tacos were so pretty to look at that it was almost a shame to eat them….but only almost. My friend Phillip and I did devour them and they were as delicious as they were pretty. The pork was spot on and the sriracha aioli drizzled on top was the perfect complement to the tasty meat. Ramen Bowls in not where you would expect to find good pork, but it certainly a good option. 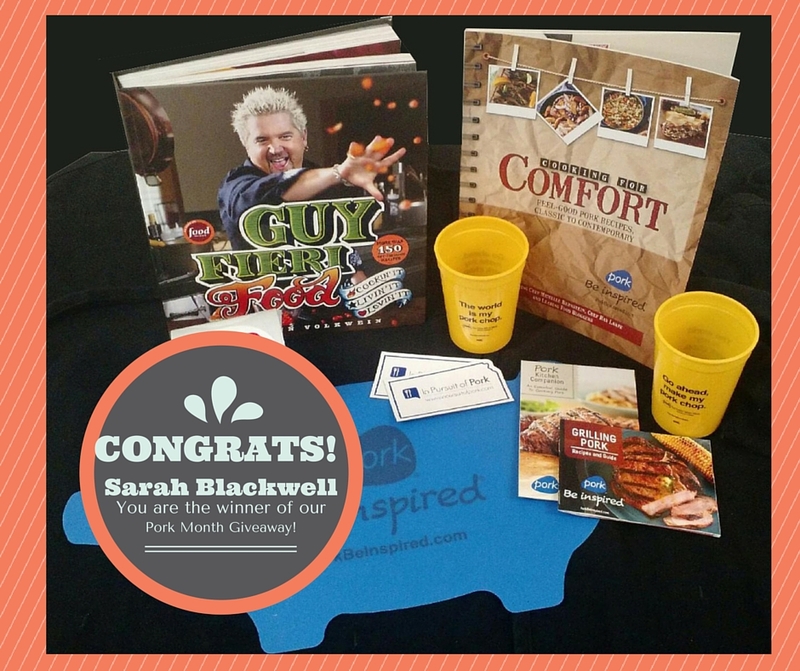 Congratulations Sarah Blackwell, you are the winner of the October Pork Month Giveaway! 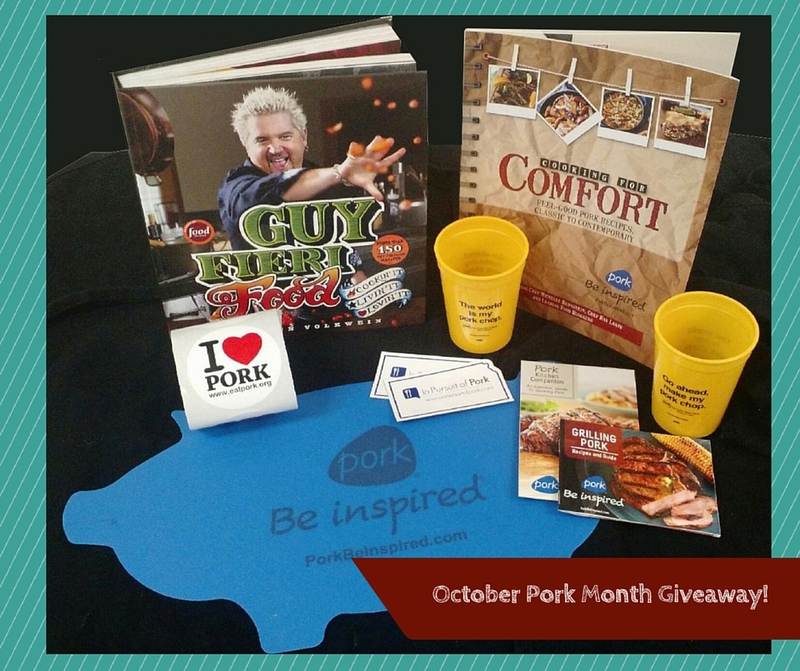 October is National Pork Month–time to celebrate all things pork! We want to hear from you and in return, you’ll have a chance to win this fabulous basket of goodies! I’ll randomly draw a winner next Monday (October 26) at 8:00 a.m. (Central) and announce the winner. Be sure to check back! Prior to a round of meetings in Salina, Kan., I needed to find a place for lunch. Salina has most of the fast food restaurants you would expect it to have and also an above average barbecue joint (Hickory Hut). On this trip, I wanted to try something different. A quick check of the internet led me to Blue Skye Brewery and Eats. Blue Skye Brewery and Eats is a small microbrewery located at 116 N. Santa Fe, in downtown Salina. They feature a small handful of craft beers and a wood fire pizza oven (both of which deserve your consideration). For the pork lover, you can create your own pizza, complete with sausage, bacon, pepperoni etc. During happy hour, from three to five p.m., you can order up a plate of pulled pork sliders. For me, I chose the pulled pork sandwich. The pulled pork is what you would expect, but the sauce is the real story here. Rather than a traditional sweet Kansas City style sauce, the homemade sauce has a heavy whiskey infused, pasta sauce flavor. It created a sweet, yet unusual combination with the pulled pork that I certainly did not expect. If you are a whiskey lover, try the pulled pork sandwich. If you’re not, it’s hard to go wrong with a wood fired pizza. Whatever your pork pleasure, you should check out Blue Skye Brewery and Eats. Merchants Pub and Plate is located in the old Merchants National Bank Building at 746 Massachusetts St. in the heart of downtown Lawrence, Kan. Many people may remember this place as Teller’s. 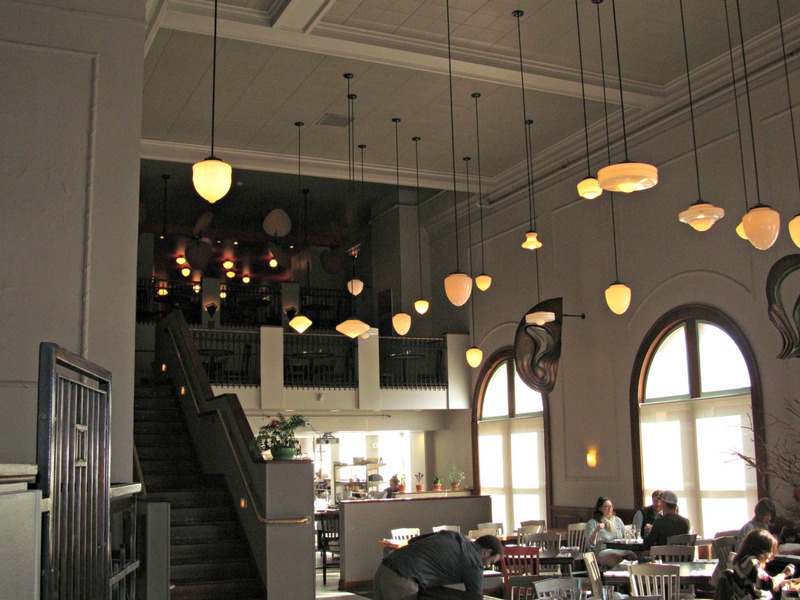 As the names imply, this gastropub is located in a big, beautiful and historic bank building. If you are into architecture, it is worth a trip to this restaurant just to admire its beauty. The food at Merchants Pub and Plate is a lesson in eclectic artistry and the drink menu features the best from many local area breweries. 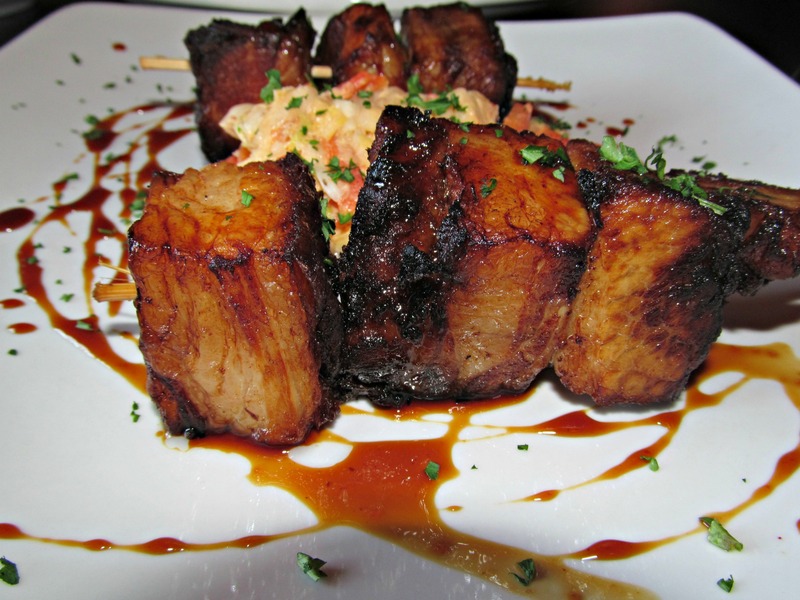 For the carnivore with pork in mind, some of the options include pork belly brochettes, salads topped with bacon and pork belly, fried pork tenderloin made from locally raised pork. 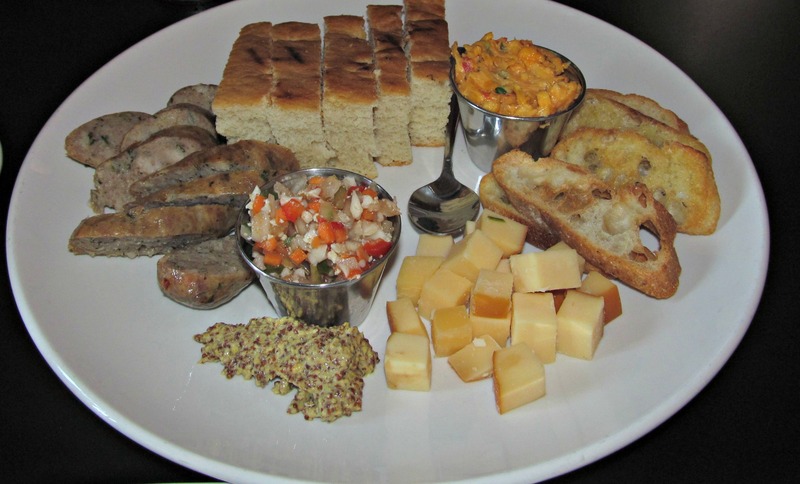 My friends and I dined on the pork belly brochettes (beautiful pieces of fatty pork meat) and a snack plate featuring a deliciously seasoned pork sausage. We also sampled picked eggs and a pickle martini. Merchants Pub and Plate and 715 are two Lawrence restaurants I would put on the list for nice places to take a date out to dinner and drinks. Make a point to check either restaurant on date night, or to celebrate a special occasion, and I don’t think you will be disappointed.